What an absolutely fabulous giveaway! I love all things techy! Norton is my favorite computer protector! I don't surf the internet without it. As for Staples, it really has nothing to do with computer security, but I love their huge tubs of multi-colored paperclips and their 3X3 LINED Post-Its!!! STaples has great organizing stuff. I think maybe we need a safe for personal documents, now that I saw their safes. Internet safety is a "must". I have used Norton since I got my first computer. My favorite items from Staples is their great supply of all office supplies. Just what I need, my laptop never had any virus checker and I use the free one on-line. Great giveaway. Internet security is extremely important. My daughter messed up my computer bad by downloading things with viruses. With 3 teens in the house, internet security is important as is software to prevent something from being added to my computer that I don't want. I love the variety that Staples offers. virus protection is what i really need. Love Staples office furniture. Internet safety is a big issue with teens downloading who knows what off the internet. Norton's rocks on my desktop. Now my new laptop needs some protection too. Thanks for having this sweepstakes! I love Norton's phishing protection. It makes it easy to tell what is real and what is fake. As for Staples, I am obsessed with pens, so that is a dangerous store for me. I worry about internet security because all my banking information is on my computer. I love Staples for their notebooks and pens, I buy all of my school supplies there. I live for my PC - couldn't live without it. Because I use it so much for personal as well as business needs, feeling that my information is secure is a necessity. I would love to win this Norton package for my PC. As far as Staples, I love everything in their stores. I shop there for my kids school needs, as well as personal and business products...everything from rubberbands to ink cartridges to PC software. I love to shop at staples, its like being in a candy store. Internet security is a must. I never used to worry about it, but then recently my e-mail address was hijacked by someone in a foreign country (which I would never dream could happen) and they sent out thousands of e-mails in my name. If that can happen, ANYTHING can. Internet security is PARAMOUNT!! I love Norton Products, as a "senior" it's not too complicated. I always go to staples especially for Norton products and just to browse on what is new. It's very close to my home which is great. Thanks so much for this giveaway. Internet is so important!!! I love Norton and currently use it. Staples is a favorite store of ours. I love that they have great choices of office supply items at a reasonable price. Thanks again. Internet security is very important. My husband is in the military, and often goes on deployments. The correspondence we carry on, while not 'classified', still could pose a risk of sorts, so in my case, it is very important to have the best interenet security possible on our home computers. Staples is where I do a bulk of my purchases of things like printer ink, paper, and other incidentals for using my computer. Maybe I'm naive but after securing basic security software,I don't worry about safety. I prefer to relax and have fun! Internet security is very important to me. I need to make sure all my files are safe and secure, as they are very vital. My favorite things from Staples are any computer items. Norton is a great software tool. That, along with other computer protection software, including the human factor, (watching what you click on or open), is important. I live in a small town and don't have a Staples. Been years since I've been to one. I need updated internet security. Please. so important to protect your computer and information from hackers. everyone online should have up-to-date security software! Norton is my favorite internet securiy software, never run my computer without it running. My data files are precious to me so I want to protect them. Staples has a wide variety of items that I love.....especially their organizing items. Oh my, Staples has 16 GB flash drives! At the moment we have only one 1 GB fd so..
Talking about internet safety.. it's crazy how careful you have to be these days. So many phishing e-mails and hoaxes circulating around the net that it makes me miss good old days..
Norton's is #1. Security and file protection is so important. Love pens and Staples has a great variety. Love the prize. Internet safety is only as safe as we make it. Internet safety is probably my #1 concern, for me, my work and my parents. My mom and dad still use a PC, and didn't quite understand the severity of hackers until someone transferred $3,000 from their checking account, via Paypal, into another paypal account in another country. It is 6 months later, and although Paypal and their bank covered their loss, they are still dealing with the situation. I have showed them several websites that help walk them through ways to keep themselves safe. My job is predominitely online, and my co-workers get viruses about 1x a month. It is a huge deal for us, and takes many days to clean our computers off, and we have lost a ton of work. Keep your virus protection up to date, don't open any files from people you don't know, and never ever enter your password via an email. Just go straight to the website first!!! I feel vunerable without internet safety and feel that anyone can just reach in my computer and steal private information. My favorite Staple items are computer paper and office supplies like pens. Staples has ALL my favorite goodies! I love the computer accessories! I worry a lot about internet security. You just have to be careful. I rotate my passwords, only use security sites for purchases, and I keep my virus scan updated. Having been a victim of a virus or trojan I couldn't get rid of I am especially concerned about protecting my computer. I love Staples!! They have the absolute best clearance section! I just bought a new digital camera there! It's very important to keep your info to yourself, and to make sure you have all of your files protected. I use my flash all the time! Those things are great! i think that iternet safety is important. i know that one has to at least try to keep others from seeing their personal info. one does the best that they can. They thing i like about staples is that when you tell them that they price of something on their website is lower they look it up and give you the lower price. I got this on a printer from them. they were really nice about it. They have my business. Internet saftey is scarey- We can do all we can but kid just seem to know how to get around locks and blocks- ...like going to someone elses house who doesn't have any. I love all things from Staples- Love their selection of school supplies and papers! internet security is important. I had let my Norton anti-virus expire and ended up with a virus which prevented IE from working. Even when we updated/upgraded anti-virus, it didn't help. System had to be restored with a destructive restore. So make sure your anti-virus is updated and your firewall is active. If you don't protect your files and computer, who will! My favorite Staples items are their staplers! At the grand opening in Cary, NC, they gave us a free one. So little effort required to staple papers. I made everyone at work try it and they were all impressed! One woman threatened to steal it, LOL! Internet security is extremely important. I grew up on Norton antivirus. My favorite staples items are the insane deals online every friday. I love my fridays at staples.com. Internet safety is very important...especially with small children who use the computer. I love the selection of pens at Staples - I'm always looking for for new colors and great grips, and they always have a great selection. I use Norton for security, I think it is the best. I do need to think more about backing up to really protect me from an attack via the internet. I like Staples, it is the place I bought my shredder. I would love to win the Norton security package. I have so many files (but mostly pictures) that need backing up so badly! My favorite things at Staples would be the colored papers and the comfortable office chairs. Internet security is all so important to protect especially my important documents and Norton is a great and comprehensive software. As for Staples, I like their Mid-Back Leather Manager's Chair. Honestly.. I really don't think about it.. maybe its a bit of cockyness but I used to work in computer security and I know all the awful things that can happen.. so you'd think Id be more concerned than ever? That 4gb flashdrive would really come into handy for school! this is cool :) I need security and storage!! I love the great selection of office furniture at Staples, actually. I'm not looking to buy any, but I have a chair from there that a boss got me several years ago and still love it. Great stuff! As for internet safety and protecting my files, I think it is important that we take steps necessary to prevent different problems such as identity theft. I think a lot of people are careless sometimes, so products like this are really helpful for those of us that might need a little help. I worry about internet safety and would love to win this so I know my security and my files are protected. I need to lock up our computers! staples has the best stock on supplies! I am cautious on the internet, when in doubt I don't click on it, like for example, unknown email attachments from unknown senders. As for Staples, I like their price matching and that they have everything in stock that I've needed, & they have good printer paper. I am very concerned about internet safety, all of my computers have a firewall. I have an external drive that I back up all of my documents. Staples always have the ink I need. Internet security is a must these days. My teens keep me up to date with internet security. internet security is so important. these days it's the easiest way for the bad guys to get your identity details and wipe you out. No one should be online without top notch security. You have to have internet protection or your system will get messed up or you'll have someone hacking your info. I totally rely on my personal tech support, that is, my son. He does like Norton quite a bit. Hi, I have had so many viruses on my computer, I have lost count. I think currently we are using Firefox. Also, we have had identity theft and credit card theft. I would love to have anything that would help us. We purchase mostly office supply type items from Staples. Please enter me in your drawing. I appreciate it! I think that if you take all necessary precautions, the internet is as safe as you make it. Staples, I love their pens. I am a "collector" of pens!! I hate knowing that someone could cyber rob me. I'm a big fan of internet safety, not only what info goes out from my computer but what comes in. I'm always concerned about internet security. Although, I hate that with some security software I have used, you have to decrease your security to even get on the internet. I love Staples. I especially like the cute pens and other supplies they have for $50. I also think their ink cartridge recycling program is great. I just hate when those new viruses and trojans get through when there not yet a fix for them and wreak havoc on the computer. Do these people who do this stuff have a life or what. As for Staples, I can't get enough of stationary and such. security is the most importantthing you can buy for your computer.I cant tell you how many times I have lost all my files ,pictures,music,ect due to a virus. I currently have NO protection! YIKES! Staples is great! Always have great prices and fab sales! You should always have some kind of Security on your computer. Staples is a wonderful store to shop. The one I go to is very clean and well stocked. Love shopping for any tech stuff. Love shopping at Staples, and I always make sure to keep my computer safe with antivirus, spyware remover, and registry cleaners. There is nothing more frustating than having your personal information stolen from you. Doing nothing to protect yourself is like daring the theives. It's just a matter of time when the theft will happen. Staples is an excellent source for all my office needs. Internet security scares me to death. I totally love your stapler that works with the touch of a fingertip!! I hate trying to buy staples though. Think about it - 99% of the boxes in the store say "Staples" on them - it's really hard to actually find a box of Staples staples. I buy all of my computer software at Staples. Nobody should be on the internet without virus and firewall software. I think virus software is a must when you are on the internet, I buy printer paper and ink at staples, plus a dozen other things, I love there store! I love Staples! I get everything from paper clips to business card holders to laptops there, and the customer service has always been great. I could definitely use new security software for 08! My son is never on the computer alone, you never know. We have a firewall at home so no one can access our files. I love everything from staples, i love that store. I love Staples because my daughter and I are both freaks about all the things they have there. She loves to get things for her locker. I rely on internet security to protect my identity. I often use the web to pay my bills, and without protection, I'd be vulnerable. As for Staples, I just love to wander around in there. I always find some new gizmo or product that someone has invented to make my life more organized. Lately, I have been intrigued by the changing world of Postit Notes. What a fantastic prize. I don't have any current security program and this would be great! Staples is a great company to buy from - their assortment is great, prices marvelous. And this contest is the best. Internet security for my grandchildren is as equally important as locking my doors at night. I'm very concerned with internet security. I love the mailmate3 from staples. Great little shredder. I love how security moves with the ever changing technology. I love their desk organizers! I value privacy, especially online so I never surf without security and Norton provides it with reliability. My files are safe with Norton. Staples is a favorite for quick and economical stocking up of office supplies. Internet security is a must. I like Staples because they have everything you need for reasonable prises. I'm all about internet safety. I just wish it would become easier to keep up with it. My computer has crashed three times in the past couple of years due to viruses and that's having Norton anti virus. UGH!!! Safety is a must have in these days. I am always worried about internet safety and protecting my files. I like to shop at Staples for most of my computer programss. I own a desktop and my daughter and grandson have laptops. We always use Norton Internet Security. I do everything on line. I shop and bank online as I have arthritis and Fibromyalgia and don't go out to shop very often. The internet makes life easier and with the Norton Internet security I feel safe. internet security is a must - people are definitely out to get your information if you don't protect it. I love Staples cuz they have all the security software I need. 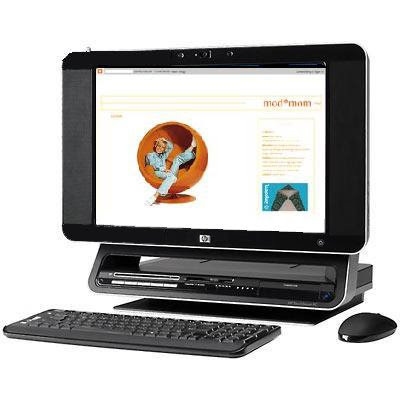 This is perfect for me because I just bought a new HP Pavillion DV900T laptop! I can use both the docking station and an antivirus software for my new laptop! Norton is my first choice too! I think internet security is very important with all the identity theft going on today. After all we use our computers to do banking and shopping, so we need to be protected. Norton antivirus and security is protecting my back. It's very important to have online safety measures in tact. To many people come prey to identity theft and viruses. This is such a great giveaway by Staples. Staples has so many wonderful things in their stores. My favorite thing to buy is their memory cards for my camera. They also have wonderful computer furniture for your home and office. Thanks to Staples and mod*mom for this giveaway. internet security is a nessecity when im surfing the net. theree are to many viruses out there. I love Staples selection of Office Furniture. I was hacked once by a UK person and it scared me to death. They took all my email away and were gonna use my email address to send out scams. With help with my ISP they walked me though it to reset my email. Whew.I still have really no good virus catcher yet but I keep a eye out all the time. I really don't need noone stealing my photos or anything on my PC nomore. What I like at Staples is their Ink for my printer. I like the variety of supplies at Staples. I am terrified of internet security issues. I feel very strongly about protection for the computer. Often "things"pop up on the computer after visiting a site that need killing!!! My favorite things at staples are pens....I'm a pen addict. I like colors and styles. I am constantly worried about internet safety, and protection of my files is VERY important to me! I love Staples school supply aisle- they always have such neat stuff, and always have what we need in stock! Internet security should be a concern even if you have plenty of security. It's not something we should get complacent about. Staples is where I always get my printer ink for all of our printers. Also the free shipping helps. I use Computer Associates protection and really like it. It isn't as bulky (resource wise) as Norton. Very good. What do I like at staples? Pens ... nice fine tip black ones for illustrations. I love staples. Their products have helped me get through law school. I got a great computer desk there that looks sleek but was really cheap! Great prize, I need all of them. I try and keep up to date with internet security but there is always a new virus lurking out there somewhere. Norton makes great security products. I also love Staples and buy all of my home office supplies there. They have great prices on everyday items like paper for the printer, ink, etc. The employees at my local Staples store are always friendly as well as helpful. internet security is very important to me because this is a new laptop, and my favorite thing that i own, if anything happened to it i'd be crushed! and i love the office furniture at Staples, every time i go in i like to pretend i'm a CEO! Internet security is vital to me. I worry about that frequently. My favorite thing to buy from Staples is bulk envelopes. My husbands Norton expired last month. We haven't been able to afford another one. Would love to win. Staples is a great place where I like to go to get all my small stationary items. Internet safety is a must, but I have to admit that I am not as up-to-date as I need to be on my knowledge of how to protect my files and maintain internet safety. I leave that up to my hubby, who is my "IT Guy". I love Staples! My favorite things are all their organization products! I am constantly looking for ways to keep my information secure. It is frustrating that there are people who are continually looking for new ways to steal info. Internet safety is important, protecting your files is very important, and my favorite things from staples: everything ! I love to shop at staples. Internet security is very important to me. There are a lot of people out there that have nothing better to do than steal from you. You've got to protect yourself. I am always aware of the need for security and have norton, use staples for everything, especially love the diff. designs of post it notes! I shop for everything office and school related at staples. I really like the variety of markers. I am in favor or internet security. I feel naked and vulnerable surfing without my Norton blanket. I have a church computer I use that REALLY needs some internet security! I hope I win! Well...to be honest identity theft is scary. But it doesn't limit what we do. We're very careful about what sites we go on and who we give information to. We are not as good about protecting our files and we should be because my husband lost his entire computer including important files. I really like their storage and organizing solutions from staples! Internet safety and protecting your files is vital if you are going to use a computer. I am diligent about this! Staples carries some of my prefered printer supplies and organizing products. i always try to keep my computer as clean as possible, mainly so it lasts a long time, i actually really like to do computer maintenance, makes me feel like i'm getting things done. and i love all cool desk lamps they have there, i went there a couple of weeks ago to get one, and had a hard time choosing from all the different types they had. I always worry about internet safety and wonder if someone is stealing my information. But with good security in place I worry less. I love all the PC accessories I can get at Staples plus all the organizing materials I need to keep my filing cabinet in order. Internet safety? Probably not what you'd think in my situation. I have two teen girls and I don't supervise their computer time, but they get in HUGE trouble if their computer gets virused. They know what NOT to click on and that they should be scanning. Protecting files? My computer has a cd/dvd burner. If it's that important I'll make a backup and file it. I'm considering online storage, though. And Staples? Definitely neon paper and large qualities of various envelopes for a continuing project. In addition, they're much more convenient and much less expensive than Kinko's. with a 12 year old and a 16 year old, I could really use these items. So please be kind and send the winning package to my door so i can fall on the floor in delight of being a winner tonight. I love staples! They are great for stocking up on supplies that keep this busy mom organized. I have used Norton on my desktop for years and could really use a copy for my laptop. What a great giveaway! I desperately need some internet safety. I'm even afraid to confess that online! And about Staples! I love it even more than going to the drug store. Their pen selection is DIVINE! Staples is where I buy packing materials like tape. Security is something on my mind a lot, and use various open source programs for protection. can't live without internet safety. Spooky how things still get through. Staples? Why the office things I can't live without. I'm a pen junkie!! Internet safety is very important in the world we live in today, especially if you have children. They could be exposed to inappropriate content and mature information they have no need to know about yet. Staples is an awesome place. Internet security is a must for everyone! As internet thieves and scammers get more savvy and devise new methods of stealing personal information, it's more important than ever to have good internet security. I love Staples because when I need retail therapy, I shop for office supplies the way some women shop for shoes. Post it notes always cheer me up. Internet concern is of great importance to me both at home & work. Lots of things on there that I don't want other people to look at or destroy! My fav things at Staples are the packing supplies! Love going in there to find just the right stuff to ship something! Security is very important when you have a computer. Your files, your identity is at stake if you're not protected. I THINK internet safety, protecting your files IS VERY IMPORTANT and MY favorite things from staples IS ALL THE NEAT SALE ITEMS.ty! for the great contest! I know people who have had their identity stolen over the internet, so internet security is very important to me. As for Staples, I love their print cartridge recycling program. Staples is awesome! They always have everything I need. Besides internet security (which you can never have enough of) I bought my shredder at Staples! Just got back from Staples with a shredder! I have virus protection so I feel pretty safe. I love the laptops w/17" screen at Staples. Norton is the only protection for me! We all the unsafe stuff on the internet...Norton makes me feel safe. Staples has everything I need to keep my organized every day! It is terrifying what other people want to do to everyone else with viruses, phishing, and identity theft.Great top of the line security is a must. I've had my computer hijacked a few times and by the time I got rid of all the malware, my computer was a mess and required reformatting meaning I lost a lot of data and programs. I never want to go through that again. Staples is my store for all my home office needs. I worry a lot about security of internet transactions and would like to feel completely safe when sing the internet. As for Styaples, I get all my mailing supplies there in one convenient place. I think internet security is very important especially with so much identity theft. If someone gets a hold of your information, it can ruin your life. That's why I think protecting your information is so important. I worry about viruses attacking my computer and destroying all the information. Generally, though, DH takes care of all the scans and security, for us and for my mom. I haven't shopped at Staples much, only on out of town trips, but I am so excited that one is finally coming to Pensacola!! I can't wait for the store to open. What a fantastic giveaway. I am on my computer 8-10 hours a day and am highly concerned about internet security. I had my identity stolen several years back. My computer is constantly needing repair and I worry about the security of my information even in the hands or repair shops/personnel. I like the plastic binders, postit flags, and clearance sales they have. I have even turned in my ink cartriges for $3off coupons for purchase on anything at Staples. Internet safety is a vital yet often overlooked aspect of computer use. Giving out personal information online carelessly can lead to a crisis. People don't give very much thought, either, to what might happen if their hard drive were to get wiped out. Backing up files is extremely important! External hard drives are a good way to back up data. I'm grateful that Staples is raising awareness of internet safety! Staples has always been great for back-to-school supplies. I get my planners and notebooks there every year. Security is very important. I like the colored envelopes. I think Internet safety and protecting your files are very important. I love the organizational supplies at Staples.